The swedish Chess Academy’s goal is to develop Swedish chess. The Chess Academy consists of members with a background in chess, politics, culture and business. Everyone with a strong ambition to support Swedish chess. 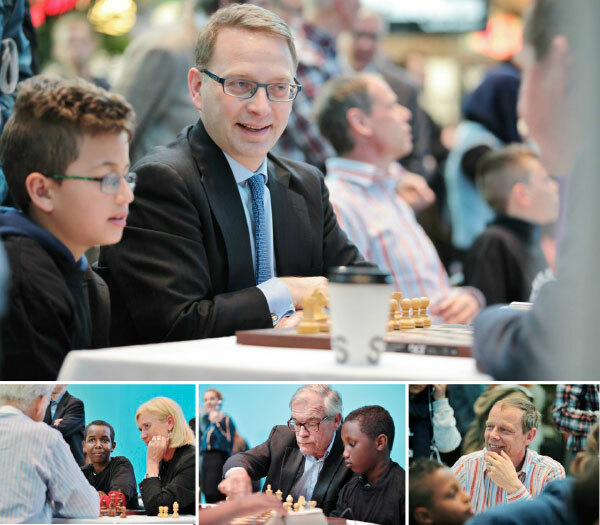 “The Academy aims to promote the game of chess in Sweden. The Academy&#8217;s activities will focus on providing chess with financial resources, preferably in larger posts,,en,The academy will specifically support Swedish initiatives at international elite level and chess players,,en,is head of the Swedish Chess Academy,,en,Among the member you’ll find ,,en,and ,,en,More members are for example ,,en,businessman,,en,entrepreneur,,en,Joel Eklund,,sv,head of TePe,,en,conductor,,en,writer,,en,publisher,,en,lawyer,,en,opera singer,,en,union profile,,en,director-general,,en,founder of Nordic Brand Academy,,en,journalist and the pianist ,,en,chess historian,,en, is Academy’s secretary,,en,Here is the full list of,,en,all members,,en. The academy will specifically support Swedish initiatives at international elite level and chess players”. Jan Ståhlberg is head of the Swedish Chess Academy. Among the member you’ll find Erik Penser, Sören Mellstig, Marcus Storch and Roland Nilsson. More members are for example Christer Fuglesang, astronaut, Henrik Salander, diplomat, Jockum Wahlberg, businessman & entrepreneur, Peter Hllawatsch, businessman, Anders Wengholm, businessman. Anders Kvarby, media, Joel Eklund, head of TePe, Bo Aurehl, conductor, Christer Sturmark, writer & publisher, Jeanett Paludan, management, Johan Sigeman, lawyer, Mikael Samuelsson, opera singer, Kåre Gilstring, businessman, Stig Malm, union profile, Lennart B Johansson, businessman, Martin Gren, businessman, Mats Wikström, director-general, Tony Apéria, founder of Nordic Brand Academy, Uno Hedin, journalist and the pianist Staffan Scheja. Peter Holmgren, chess historian, is Academy’s secretary. Here is the full list of all members. Swedish Grandmasters are automatically members of Swedish Chess Academy. You can apply for contributions for all types of chess projects. Historically, applications for tournaments at the elite level have almost always been awarded. In 2009, the Academy adopted new guidelines for grants. Elite and youth chess are primary goals. But the previous line to mainly contribute to tournaments has been modified. Now, individuals, such as promising juniors In general, the more in line with the statutory guidelines an application is, the greater the chance of receiving contributions,,en,An application must be sent in writing or by e-mail to,,en,Decision will be given to all who applied for a grant after a decision has been made,,en,Traditionally,,en,the Chess Academy will have its annual meeting in the spring,,en,Contact,,en,Secretary Schackakademien c,,en,o Peter Holmgren Hornsbergs Strand,,en. An application must be sent in writing or by e-mail to info@schackakademien.se Decision will be given to all who applied for a grant after a decision has been made. Traditionally, the Chess Academy will have its annual meeting in the spring.